Carbon capture, use and storage (CCUS) is a low-carbon technology necessary to reduce carbon dioxide emissions from fossil-fired power plants, and a key option for deep CO2 emission reductions from refineries, the chemical sector, and cement and steel production. The International Energy Agency has highlighted the role of CCUS in reducing future temperature increases to 2°C in the period to 2060, in a cost-effective manner. The Intergovernmental Panel on Climate Change’s Fifth Assessment Report states that without widespread implementation of CCUS, the world is unlikely to reach its desired 2°C scenario. Shell Canada, on behalf of the Athabasca Oil Sands Project, has developed Quest, a large-scale, fully integrated CCUS project located near Edmonton, Alberta, Canada. This is the first commercial-scale project of this nature to tackle carbon emissions in the oil sands. The Quest facility captures and stores up to 1.2 million tonnes of CO2 per year from a bitumen upgrading unit, the Scotford upgrader. The captured CO2 is then transported via pipeline and stored in a deep saline aquifer in the Western Sedimentary Basin. The project began commercial operations in November 2015 and, as of March 2018, has captured and stored 2.7 million tonnes of CO2 – approximately the equivalent of 22 years of electricity emissions from the City of Vancouver. Direct emissions from the Scotford upgrader are now being reduced by as much as 35%. Quest illustrates an effective public-private partnership, with private sector investment by Shell and joint venture owners, and jointly funded by Canada’s federal government, with $120M provided by Natural Resources Canada, and by the provincial government of Alberta, which provided $745 million. 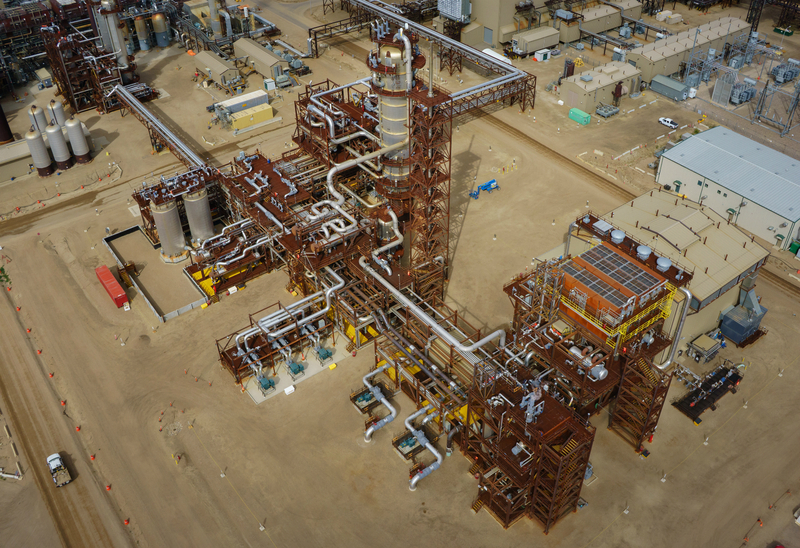 Given Quest’s success, future CCUS opportunities from Shell-operated facilities in Alberta are being investigated, including consideration of utilization options such as CO2-Enhanced Oil Recovery (EOR), fertilizer production, and concrete curing. Quest’s success can help demonstrate that CCUS is feasible and cost-effective, supporting broaden its uptake globally by serving as a model for advancing and deploying CCUS in a variety of industrial operations.